I break up from school this week so I thought it would be nice to bake a little present for all my year group and teachers, so I’ve decided to make some mini shortbread and little cupcakes and wrap them up in cellophane with pretty ribbon. 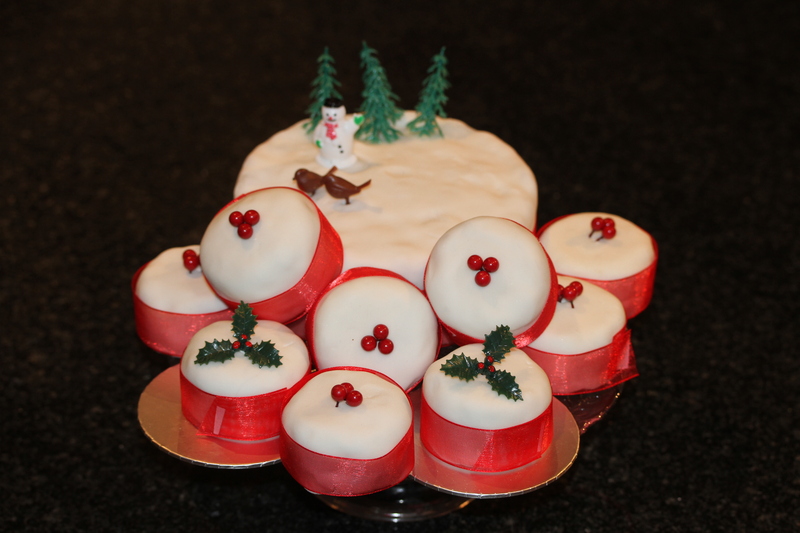 I’m also going to decorate my christmas cake. Lovely Sharon popped round this evening with some ideas for decorating them, so pop back next week to see my bake. I made over seventy little gifts for my year group and everyone loved them..This evening Ive had the best time putting up Christmas decorations and finishing off my 9 Christmas cakes all while watching a Christmas film. I’m now starting to feel all festive.